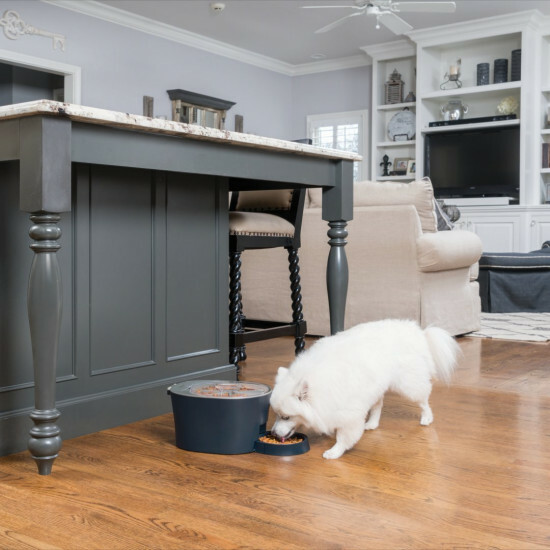 The PetSafe Six Meal Feeder is designed for the busy pet parent. 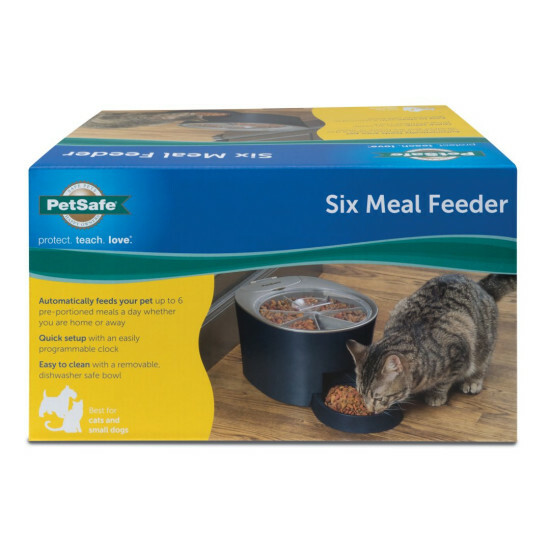 It is great for feeding your pet during the day while at work or while traveling for the weekend. Use the digital clock to program six pre-portioned meals per fill---whether it’s six smaller meals a day, two meals a day for three days, or one large meal every day for six days. 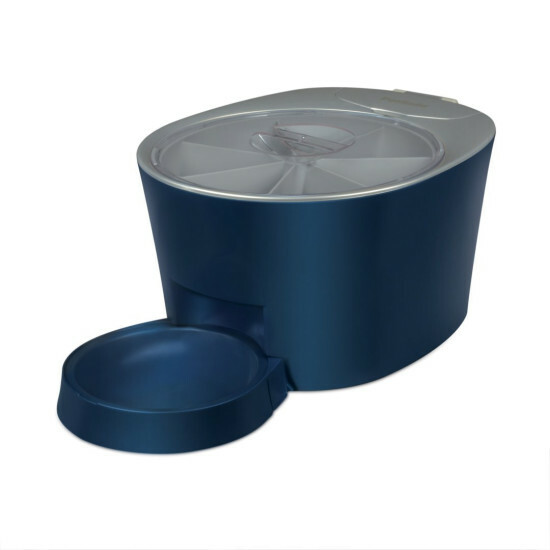 Each tray slot holds 1 cup of dry dog or cat food, plus the bowl holds 1 cup for an extra meal that is ready-to eat. If you want to immediately dispense the next scheduled meal, simply push the Feed now button. The remaining meals will dispense at their scheduled times. 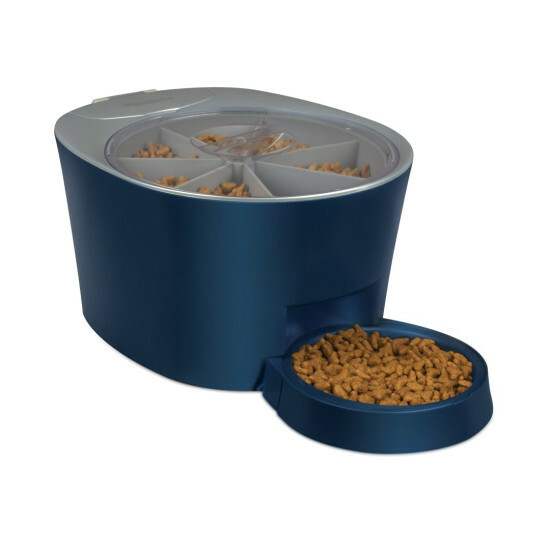 To stop the feeder from dispensing food without losing your programmed meals, press the Sleep Mode button. 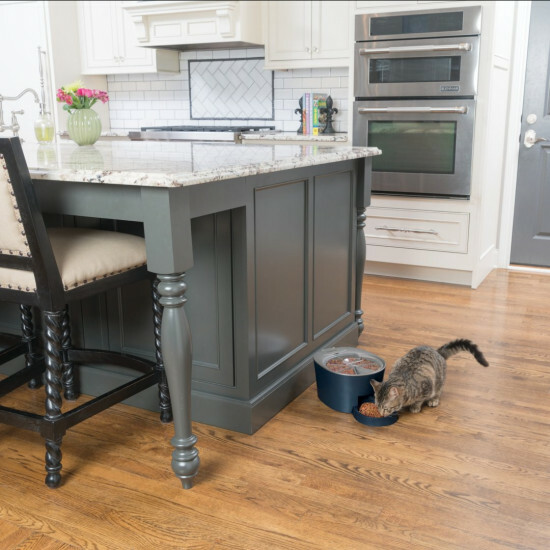 The PetSafe Six Meal Feeder keeps your pet’s healthy feeding routine no matter where you are.